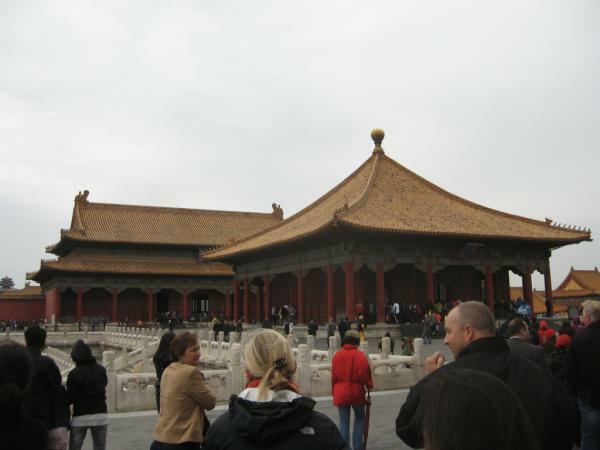 We’re back from China! Sure is good to be…WHAT HAPPENED TO MY REFRIGERATOR! 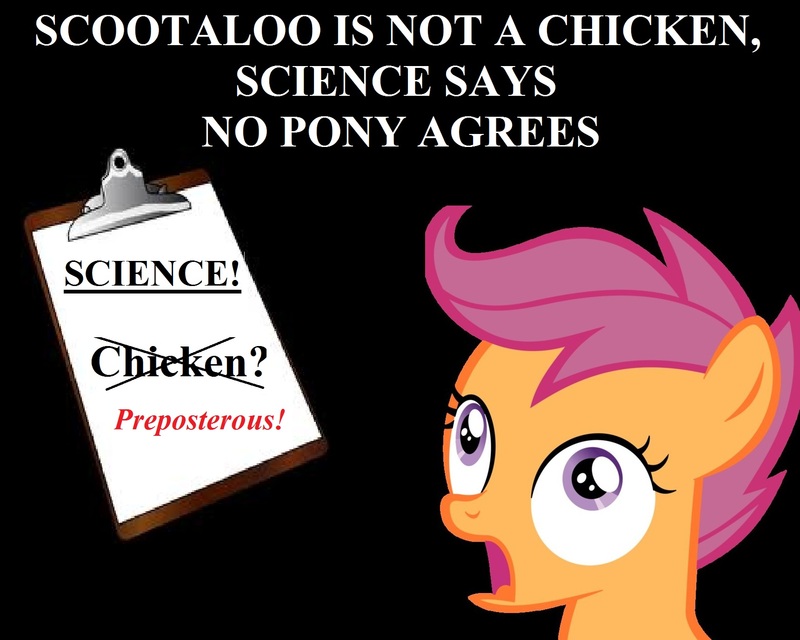 In an unbiased quantitative, qualitative, subjective, objective and super-specialized-extremely-effective-we’re-making-this-upative scientific study, a team of physicists, chemists, biologists, CPA’s, and one horribly deranged beaver have proven without a shadow of a doubt that Ponyville resident Scootaloo is not a chicken. However, nopony in Equestria believes these results. Applebloom then proceeded to imitate the traditional chicken call, crying “Scootaloo! Scootaloo!” before the not-chicken herself chased the filly away. Unreliable Sources have yet to confirm whether there was a cluster of chicken feathers in Scootaloo’s wake or just a bit of leaves. Analysis has proven them to be leaves but, again, most ponies still think they were feathers. It appears that only one pony, one Twilight Sparkle, agrees with the scientific evidence suggesting Scootaloo is not a chicken. However, we had Rainbow Dash hold her down so Twilight could not come forward for an interview. Instead we asked Fluttershy what she thought. “Oh, I don’t know,” quoted Fluttershy, resident chicken and other animals expert. Her doubtful, mumbling response to our questions was evidence enough to make a horribly baseless conclusion that she disagrees with the scientific evidence. Princess Celestia denied an interview with the EI, since we didn’t actually send such a request, but we can pretty much assume that she disagrees with the scientific study too. It remains unclear how long Scootaloo will continue to deny she’s a chicken, or if science will ever conclude anything but that she isn’t one, but we’ve hired Sweetie Belle to maintain vigil over the filly in the completely scientifically implausible event that Scootaloo lays an egg. We hear Sweetie Belle can make a mean omelet. Unreliable Sources have confirmed that the recipe for the perfect sisterhood has no correlation to an aforementioned formula stating that sisterhood is best stated as the combining of apples and crust to make apple pie. Instead, the perfect sisterhood is more like butter and toast. This news has confounded several ponies who thought that the apple pie metaphor was good enough. However, a recent revelation reveals that buttered toast is, in fact, a superior metaphor for the perfect sisterhood. The perfect formula for sisterhood was discovered in a book entitled “My Little Sister.” It was discovered in the Canterlot library under a pile of loose pencil shavings no one ever bothered to clean up (there was also a first edition copy of “How to Embrace Your Inner Mongoose”). In the book, sisters are more properly described as a relationship between butter and toast, where separate they’re too dry or too slippery but together they’re just right. Those who say that this is simply arguing over semantics don’t realize how slow a news week it’s been since Celestia’s been away and how desperate we are for even somewhat decent material. So there, buttered toast it is. In news that has upset the Great and Powerful Trixie to no end, but pretty much nopony else, the pony formerly known as the Great and Powerful Trixie has lost her claim to said name in a recent lawsuit over who owns the copyright to that title. It seems another pony named Steve wanted to be known as the Great and Powerful Trixie. Steve has no magic, no talent, and is actually a three-toed sloth but he has a very good lawyer so he won the lawsuit and copyright to the name. The distraught Trixie was seen storming out of the courtroom vowing to appeal the court’s ruling. Till then, Trixie has begun calling herself the Pony Formerly Known as the Great and Powerful Trixie. While this may service her loquacious tendencies, it has served to frustrate many ponies already tired of her older, shorter name. The staff of the Equestria Inquirer was on hand to witness several interesting events during our coverage of Princess Celestia’s state visit to China. Those of you who followed our Twitter feed should already be familiar with the events, but this story will enlighten them in their entirety. The purpose of the meeting between President Hu Jintao of China and Princess Celestia of Equestria was to show peace and goodwill between the two nations, as well as discuss Chinese concerns over the weaponization of ponies (specifically, Rainbow Dash). Celestia and Twilight teleported straight to China, but the rest of those invited, along with the EI staff, had to take a plane. Fluttershy got airsick. Rarity nearly got kicked off the plane for disrobing one of the flight attendants in an attempt to “improve their outfits.” Spike almost didn’t make it through security. But of course the worst part was that Rainbow Dash actually rode the plane all the way to China, sitting on the tail. Despite her presence being explicitly forbidden, Rainbow insisted she come and flew right past customs. 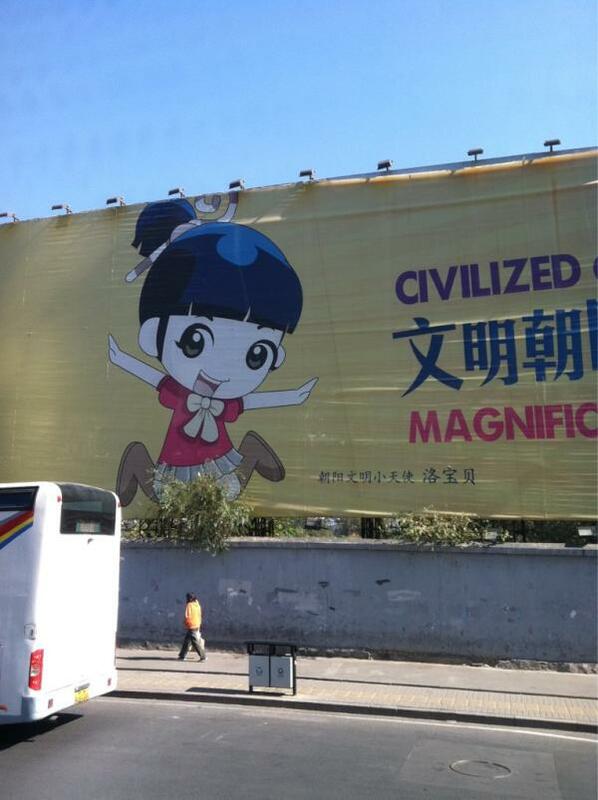 This action should have sparked a major exchange of hostilities between Equestria and China. In fact, the Chinese military sent tanks to Tiananmen Square, where Rainbow was waiting. The tanks stopped, however, when Fluttershy stood in front of them, unwavering, and stared at the drivers, forcing them to turn away in shame as she scolded them for being naughty. However, violence never came to fruition as Rainbow Dash quickly removed all the smog from Beijing, ushering in the first sunny day in the city’s industrialized history. The Chinese officials were so grateful they completely forgave the insult of her coming and proclaimed Rainbow a friend to the state, not a weapon of mass destruction. Crisis averted, we were then greeted with a generous banquet where Applejack refused to eat a thing, especially not the jellyfish, and Pinkie Pie had a very embarrassing attempt to teach the leaders of the communist party how to dance the Macarena. The Chinese loved Spike, since he’s a dragon, and it seemed he didn’t appreciate the attention all that much, especially when they tried to steal him. Thankfully Twilight was able to bring one of the stone dragons at the Forbidden City to life and that appeased the Chinese leaders as a suitable gift. Rarity, once again, nearly got us all in trouble when she tore open the preserved corpse of Chairman Mao Tse-Tung and dressed him in a purple silk-lined tuxedo complete with top hat and onyx-tipped cane. Thankfully, quick thinking on Pinkie Pie’s part turned this into a fancy dress party where everypony dressed up and danced with the dead Chinese dictator (it was about 5 parts adorable, 10 parts creepy, and 11 parts hilarious with a dash of fruit punch). With so much lively fun and good-natured discussion, the Chinese were very pleased and offered Princess Celestia a generous gift to honor her visit. They provided Princess Celestia with ten million miniature plastic statues of herself. Unfortunately, someone in their factories got Celestia’s description wrong and the tiny statues came out with her the color pink instead of regal white. Hu Jintao immediately apologized and had the statues remade (apparently the ones made in error are planned to be sold to toy stores in the United States for some reason). In gratitude for cleaning up the smog, the Chinese also made some statues of Rainbow Dash, as an apology for thinking she wanted to Sonic Rainboom the Forbidden City. All in all it was a good trip. Scootaloo broke Joe’s refrigerator while we were all away but Sweetie Belle and Applebloom will also be sweeping our floors for a few weeks after their little “remodeling” of our offices went awry. Thanks to all the freelancers who submitted last week and for allowing the EI staff this little trip! Click on the googledocs link (or scroll down if you’re already there) to see pictures of our journey through China! Princess Celestia has declared a state of emergency for several regions in Equestria as local parasprite outbreaks reach epidemic proportions, devouring crops and homes. The Pony Center for Controlling Scary Things and Having a Really Long Title has been working non-stop to quell ever-increasing parasprite populations. TPCfSTaHaRLT chairman, Dr. Pan Eek, briefed EI reporters on the situation. “We release all kinds of pamphlets to warn everypony about parasprites and not to take them in….but, it’s hard, you know? These things are just so adorable and tiny, but within a few days of taking in a parasprite, your town is doomed. One minute there’s just one of the things, the next your home is swallowed in a wave of adorable, adorable doom…….. We had managed to maintain the outbreaks to Northern and Western Equestria, but it seems parasprites have become the favorite pet of the elite, so everybody just ignored my advice and brought them into Canterlot and Manehattan anyways. Good to know the 8 years getting my doctorate was a complete waste of time.” After our interview, Dr. Eek sent us off with several adorable parasprites and a warm goodbye, lighting the TPCfSTaHaRLT headquarters on fire once locking up for the night. Pinkie Pie has been invited to replace Dr. Pan Eek, however, and has commissioned a giant sousaphone that she insists is sure to solve the parasprite problem. ALL THE FOODS YOU LOVE, BURNT! Hey dere ponies and pony kind all up dere in Ponyville. I dun wantcha ta know bout my new restaurant dere. It’s called Burney’s Burn Barn and we gotcher fav-oh-rit foods burnt to a crisp. Want hay fries? We got it, burnt! Want daisy sammiches? Got dat burnt too! Cupcakes? Burnt! Peanut butter jelly sammich? Burnt! We even gots dis here special on burnt water! Don’t ask me how, this here’s a special family recipe. So if you want ta eat da best foods, go somewheres else. You wanna eats da burntest foods, come on down to Burney’s Burn Barn. I’m Burney, and I say if it aint burnt it aint food! Burney’s Burn Barn is now offering cooking classes! Just ask ponies like Sweetie Belle and Ditzy Doo. They took one o dem classes and now know just bout everything there is to know bout burnin good food. Warms my burnin heart, dat does. Thanks for reading, folks! 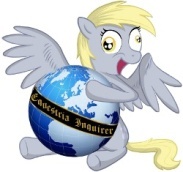 To submit freelance to the Equestria Inquirer, email Joe Stevens at [email protected] Follow the EI on Twitter at @JoeStevensInc, http://twitter.com/#!/JoeStevensInc. 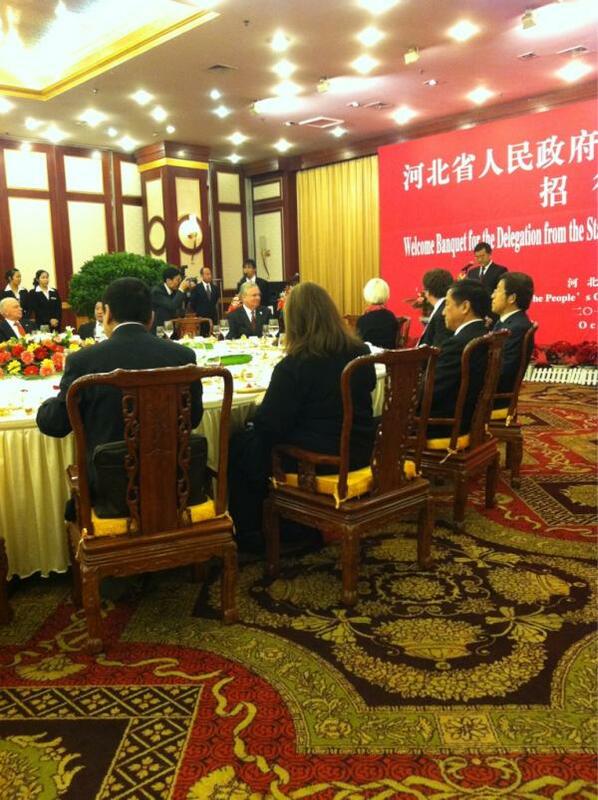 Below you’ll find the photos from our trip to China with Princess Celestia and a caption explaining it. Hope you enjoyed following these updates on Twitter! Next time let’s hope Celestia wants to go to Peach Creek. The food there’s better! 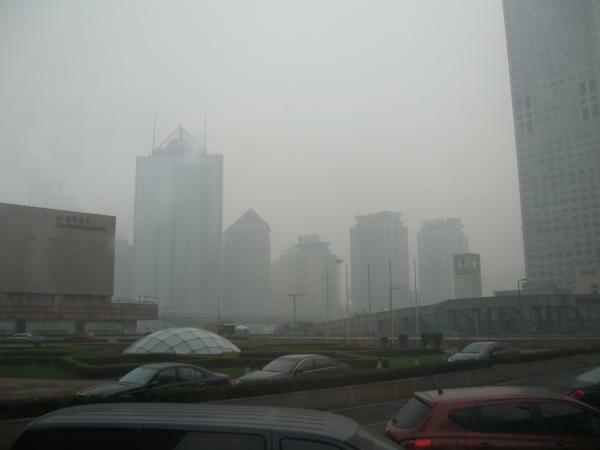 This is what Beijing looked like just before we found Rainbow Dash had snuck on the plane. This is what Beijing looked like after Rainbow cleared the smog. Very nice! 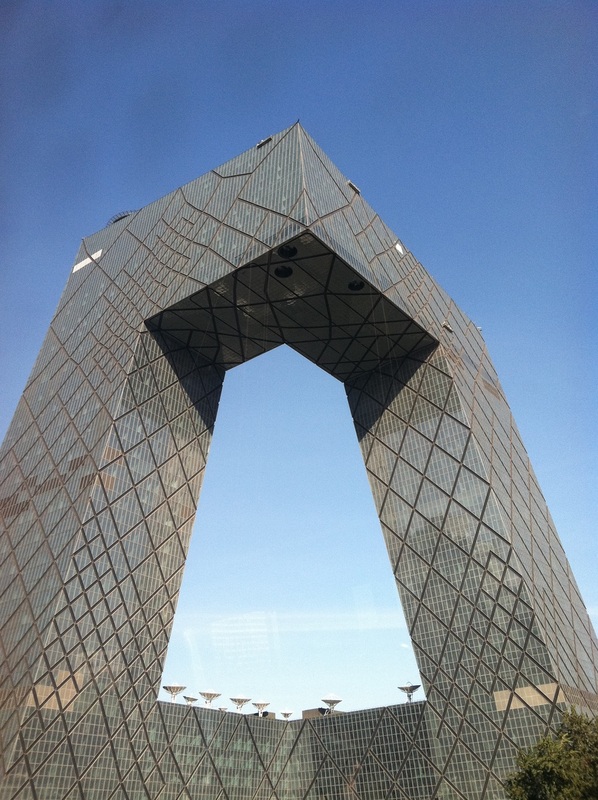 Special note: this is not a photo of the legs for a giant Chinese robot death machine. It is a building, but Applejack kicked it just in case. 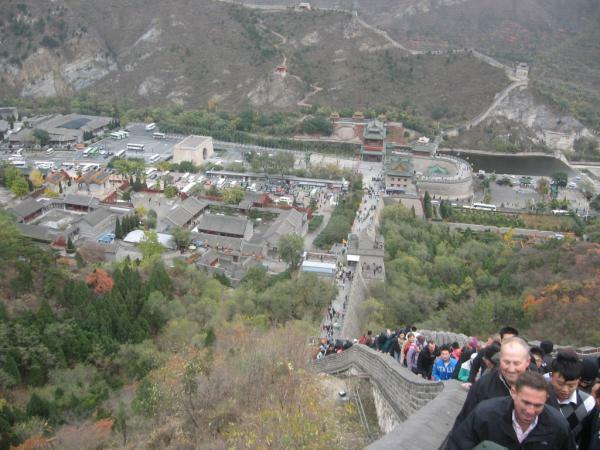 Best part of going to the Great Wall of China with a Pegasus? Free admission! Worst part? Listening to Rainbow Dash incessantly challenge the wall’s ability to keep her out. We get it, you can fly. If the Mongolians had a Pegasus I’m sure the Chinese would have built a giant net or something. This greatly confused Princess Celestia and Twilight as it did not lead to an alternative source of the Elements of Harmony. This scared the bejesus out of Fluttershy. Me too. 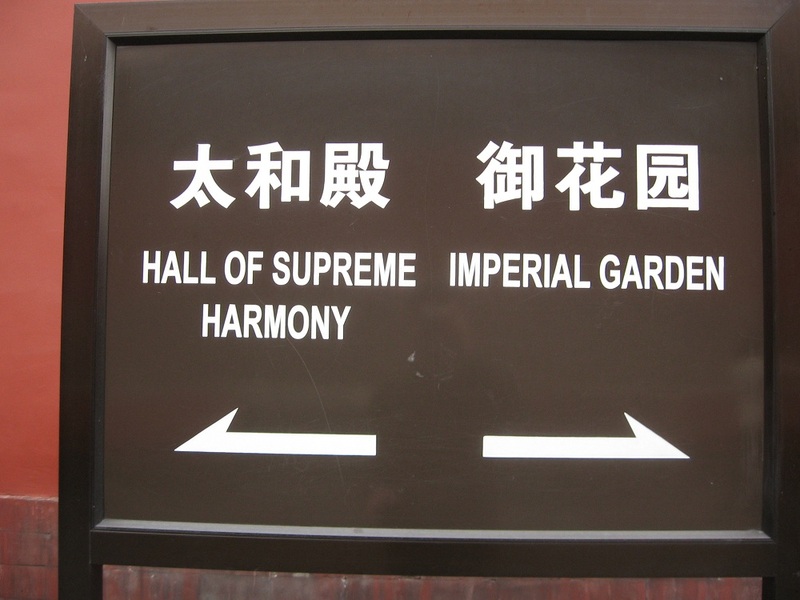 We went to Shanghai after Beijing and found this. 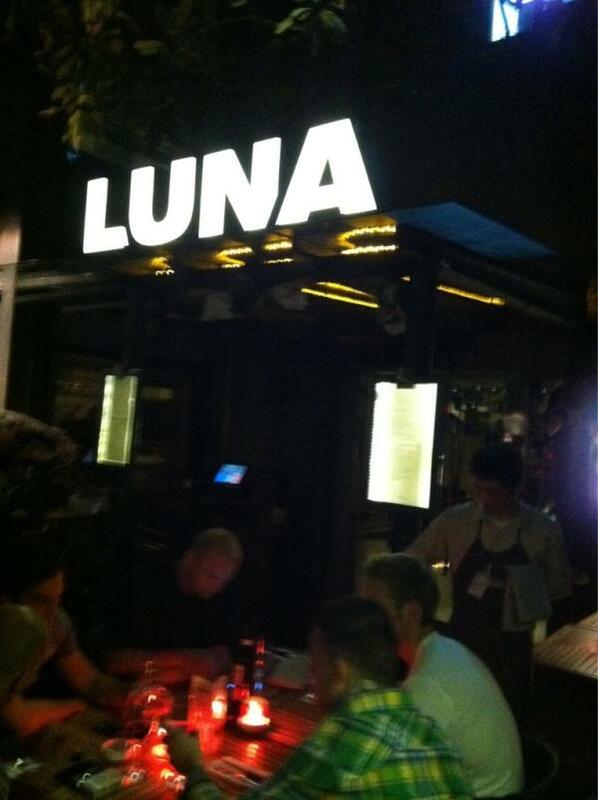 Apparently Princess Luna was opening bars in Shanghai while she was “imprisoned” on the moon. And finally we journeyed to Hong Kong. They did a laser light show in Celestia’s honor. 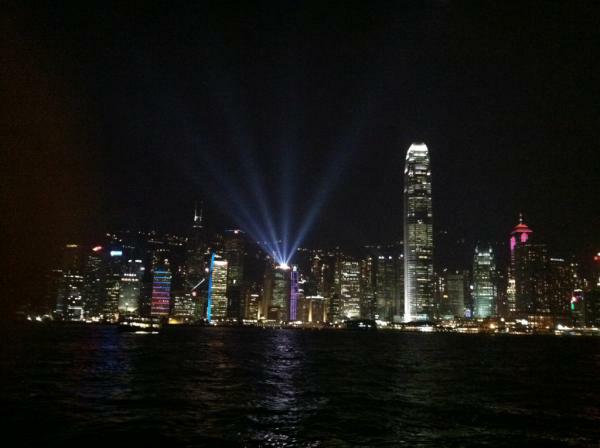 Actually they do it every night because Hong Kong is just that cool. But Twilight wanted to pretend it was for Celestia. She and Rarity actually contributed to the show, making it a little more colorful than usual. That purple building is normally dark but Twilight teleported over the to make it glow. You can see her at the top. And we made it all the way back home to Ponyville. 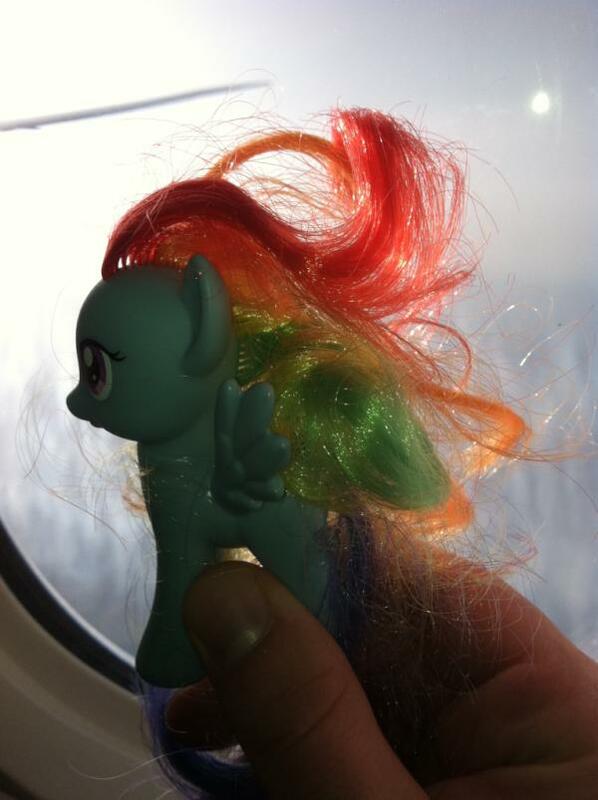 I snuck one of those statues of Rainbow Dash and took it on the plane. Rainbow had one too but she couldn’t figure out how to work the camera at 20,000ft.